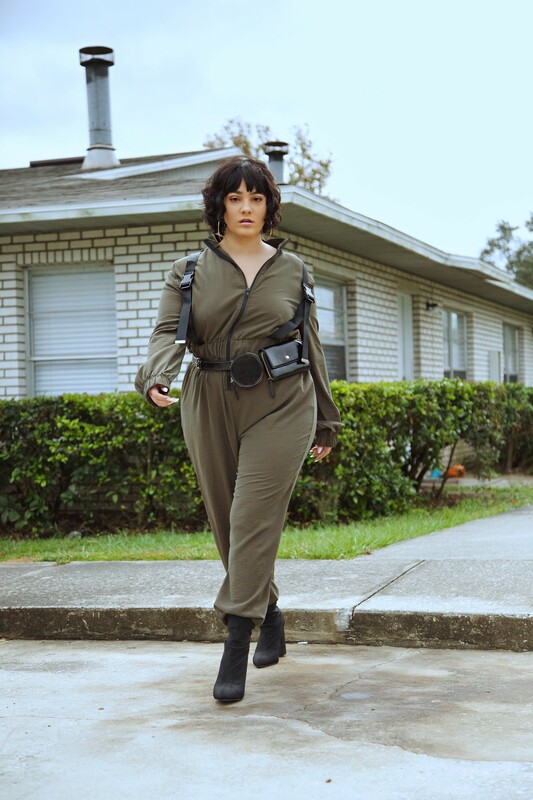 nadia aboulhosn: Who You Gonna Call? Hiiiii. No, I didn't cut my hair. This is my wig Sasha (Junior calls her that) lmfao. Anyways, I'm giving you ghost buster realness with this fit. I would love to wear jumpsuits every day just because they're more fashionable onesies. Let's be honest. This multiple bag fanny pack is the move. My wallet is tiny so it fit really well into the little circle pouch and my phone fit perfectly in the rectangle one. If you can't find any use for the pouches, candy will always fit in them.